Just east of the busy lights, noise, and crowded Five Points intersection in Florence stands an old-school place with a classic taste that has helped Pee Dee residents cool off for more than 60 years. Sundae House, on West Palmetto Street, has served up tasty treats since 1949, and it’s included in News13’s tour of viewers’ favorite spots for a summertime treat. 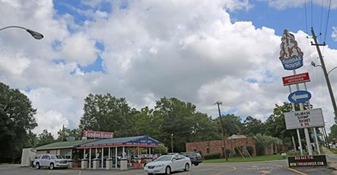 On any given day, the drive-through windows don’t stay closed for long, as customers clamor for ice cream, drinks, and items from the short order grill. It all starts with the ice cream, and Sundae House’s most popular flavor: butter pecan. Come by and visit us – we are located on 1551 West Palmetto St. We are waiting to serve you with a smile the best tasting ice cream this town has to offer.